I love a good gift shop, the kind where I find the perfect gift and maybe a little something extra for me. The Art Garden is just that kind of store. They carry unique gifts and home decor. Inside the cute cottage exterior of The Art Garden you can find sweet smelling soaps, a fun set of dishes, beautiful wood furniture, the latest holiday decor and more. The employees are always so helpful and will help you find exactly what your looking for. Merchandise is added regularly so you are sure to find something new each time you walk through The Art Garden doors. 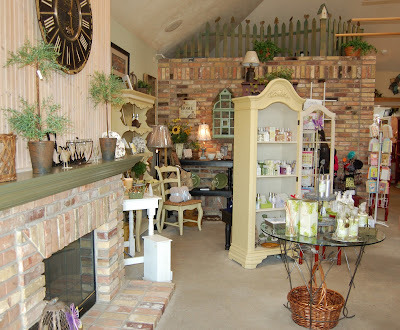 Stop by The Art Garden today and see this cute shop for yourself.